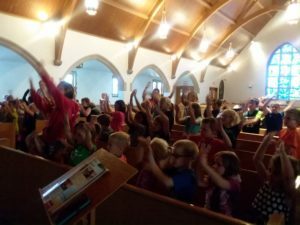 VACATION BIBLE SCHOOL DATES ARE SET!! 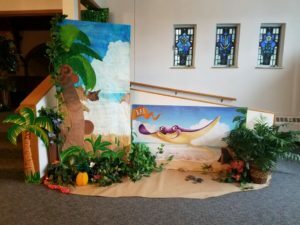 VBS 2019 will be held on June 10th-13th, 2019, with time tentatively set at 5:45-8:15 pm at Our Savior’s. A parent’s program will be at 7:45 pm on Thursday, June 13. Our theme this year is “ROAR” and we look forward to seeing children age 4-grade 6. Watch for a postcard which will be sent out to Sunday School families in May!! Visitors are always welcome, too! If you’re interested in helping with snacks, games, etc. please contact Heather (201-0019). There will be a list of snacks needed on the youth bulletin board at OSL later in May, if you’re able to help out.